26 Jun 2017 Santa Clara - NVIDIA has formed a strategic partnership with ZF and HELLA to deliver AI technology with the New Car Assessment Programme (NCAP) safety certification for the mass deployment of self-driving vehicles. The agreement is non-exclusive. ZF, one of the industry's largest automotive suppliers, and HELLA, a tier 1 supplier of camera perception software and sensor technologies, will provide customers with a complete self-driving system that integrates front camera units, as well as supporting software functions and radar systems. "Creating a self-driving car is one of society's most important endeavours - and one of the most challenging to deliver", stated Jensen Huang, founder and CEO, NVIDIA. "Our work with ZF and HELLA will bring AI self-driving solutions that include NCAP safety for millions of cars worldwide." Dr. Stefan Sommer, CEO of ZF Friedrichshafen AG, stated: "We are building up a powerful ecosystem step by step. 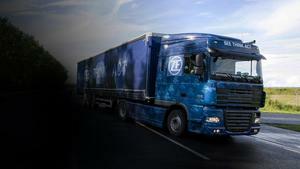 Earlier this year ZF became the first supplier to adopt NVIDIA AI technology for cars and commercial vehicles in the ZF ProAI box. Just a few days ago HELLA and ZF joined forces in a non-exclusive partnership, and now together we are partnering with NVIDIA to make our roads safer and to support the development of autonomous driving functions." Dr. Rolf Breidenbach, CEO at HELLA KGaA Hueck & Co., stated: "Combining our expertise in front camera perception software and radar sensor technologies with NVIDIA's expertise in deep learning hardware and software will drive technological developments for broad adoption of self-driving capabilities across many transportation segments."